I join the SF summit organizers in thanking everyone who helped make this year’s event possible, including the amazing attendees, Mayor Lee and SFSU graduate program director Aaron Anderson. Special thanks to Sameer for pulling it all together, and to the attendees from all corners of the globe. It is nice to see “One Laptop per Child Day” becoming a tradition in the city. Please post your favorite photos or recollections of the summit and from your travels home; we hope to hear from you all soon. Last weekend ran on into Monday for many attendees, due to late flights and the enormous hospitality of the Kleiders – June, Alex, Tanya, Isabella and Mike Gehl. Tremendous thanks are due to them and to everyone who made this such a joyous event! Thanks also to the tireless design work and organization of Mike Lee and Elizabeth Barndollar, program coordination of Sameer Verma, Adam Holt and Hilary Naylor, social media and web support/registration fronts by Elizabeth Krumbach and Grant Bowman, and the local networking and support of Carol Ruth Silver and the SFSU student volunteer team of Alexander Mock, Abhi Pendyal, Brittany Dea, Charles Fang, Christian Pascual, Dan Sanchez, Gerard Enriquez, Hue La, Jay Cai, Lana Seto, Navi Thach , Neeraj Chand, Nina Makalinaw, Paul Mak, Russell Lee, and Simon Pan. Live documentation of the event was possible thanks to tireless video work, moderation and transcription of Ben Sheldon, Nina Stawski, and others; and gifts and travel were supported by dozens of individuals, attendees (through their registration fees — thank you!) and by OLPC. And finally, behind the scenes thank you to Yuliana Diestel and Richard Ho at the SFSU Downtown Center for managing logistics and Dean Nancy Hayes of the College of Business at SFSU for hosting us, and to Peter Brantley at the Internet Archive for allowing ten of us to join the excellent Books in Browsers event. Posted on October 28, 2010 November 3, 2010 Author giuliaCategories Children, Community, Education and Content, OLPC, OLPC Africa, OLPC Asia, OLPC Latin America, OLPC Middle East, Support-Gang, VisionTags Community Summit, grassroots, OLPC-SF, pilots, San FranciscoLeave a comment on OLPC-SF roundup and thanks! Today’s event has just kicked off and is already amazing. Everyone in the room is somewhat in awe of everyone else, since each person here has done something that others are familiar with and wish they could be doing as well. The full schedule for today’s event is up and updated on the wiki. We are linking from the scheduel above to IRC transcript summaries/video/photos, and welcome help cleaning them up! If you don’t have an IRC client, you can use our webchat client. This will drop you into the “olpc-help” channel — just ask people how to connect to the channel you are interested in. 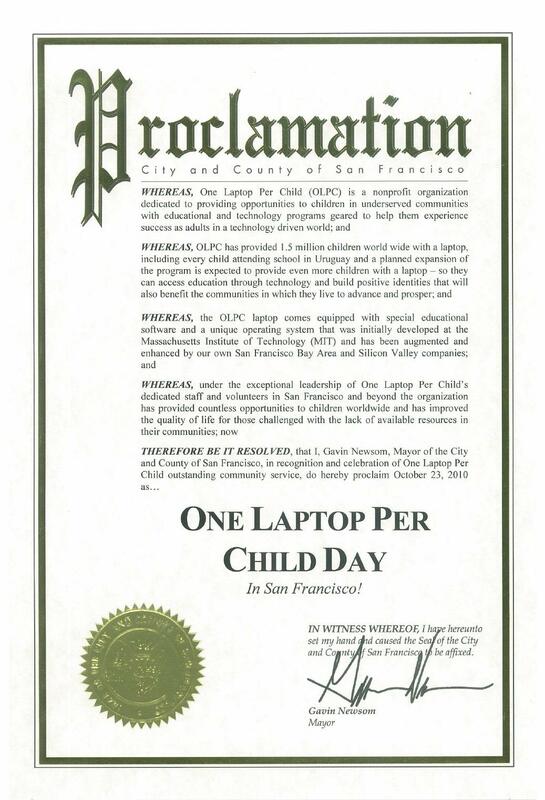 Mayor Gavin Newsom has declared tomorrow, October 23, “One Laptop per Child Day” in San Francisco, in recognition of OLPC’s service to communities around the world — and in honor of the upcoming community summit. Special thanks are due to Carol Ruth Silver and Sameer Verma for their work with the city to make this, and the weekend’s events, possible. San Francisco has been a nexus of creative energy and support for the olpc movement since the early days of the project, when fuseproject took on our industrial design. It’s fitting that the city is hosting the international summit this weekend, and an honor to have the mayor name a day after the project — or really, if you read the text of the proclamation (and I woinder: who writes these things? ), naming one after our global network. Thank you to everyone who is helping to carry the message of universal education and connectivity forward, around the world. If you are coming to the summit this weekend, please remember to register online — we have about a dozen spaces left. And don’t forget: we are opening with a reception tonight at 5pm. I look forward to seeing everyone soon! Our movement continues on thin budgets and a go-getter attitude. Some of it is ego, some reputation, but a lot of it is the drive to make a difference. Every time I listen to “Imagine” (…imagine there’s no countries…) I wonder – if you erase those lines in the sand, all those problems around the world indeed become yours as well. So should the solutions. Help solve it, and things will get better for everyone. “…and the world will live as one“. I have had the good fortune of working with a team of learning/curriculum experts at the University of the West Indies, and 115 XOs that we have acquired. We are working with other deployments to seed far greater things for OLPC in Jamaica, with our community learning portfolio at the ready. I am fortunate that my colleagues in Jamaica are go-getters, who have plugged away since 2007 to make this a reality. Remember the Realness summit — May’s event in the US Virgin Islands, where dozens of volunteers flew in to exchange notes, talk turkey, compile failures, and build rigorous community infrastructure? In this tradition, we are hosting OLPC’s biggest ever grassroots/community summit in three weeks. Thanks are due to our amazing set of volunteers and our hosts (and my employer), San Francisco State’s College of Business. Community Summit 2010 will bring together over 100 community members from around the world, to share the enthusiasm of grassroots OLPC deployments on every continent (We’re still working on Antarctica. Anyone want to start a project with E-Base? ), and to discuss ways to connect successful pilots to improve long-term sustainability. Who’s coming? Take a look. Leading OLPC communities worldwide into spare parts logistics (iLoveMyXO.com), learning content (tinygames), direct Sugar/Gnome School Server applicability, highly progressive health activities, and even a peripherals/solar/energy innovation team (XOdock). 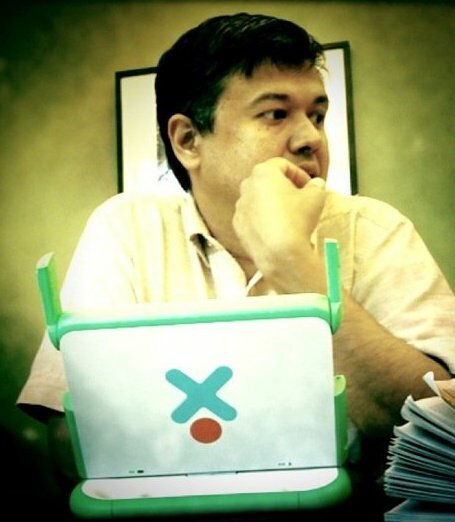 Individuals such as reactivated Daniel Drake, who literally paved the way for some of the world’s largest OLPC deployments, collecting airfare donations in $10 chunks. And Tabitha Roder, who fostered OLPC’s testing for years with the force of her personality in cafes across New Zealand. Additionally, we have preliminary RSVP’s from Uruguay, Peru, Paraguay, Argentina, Nicaragua, Nepal, Afghanistan, Pakistan, India, Philippines, The Gambia, Rwanda, Sao Tome & Principe, France, UK, Italy, Belgium, Austria, Canada, Jamaica, Haiti, Birmingham and beyond. I’ve lost count of how many times the demise and resurrection of OLPC and Sugar have been proclaimed and celebrated. What makes these projects tick? Grow? I ask myself this question whenever I start feeling burned out, wondering why I remain attached to the project and this green machine. I think of the tech as the supply side of my interest: The XO makes for a great technology platform. The mesh (whether 802.11s or ad-hoc), suspend with the screen lit, robustness, low power, etc. is all very cool. Cool enough for a grown man to walk around with a funny-looking green machine slung around his shoulder. The software stack too is amazing, flexible, free. The content is rich. Wikipedia in a box? Awesome! The tech definitely keeps me tethered. 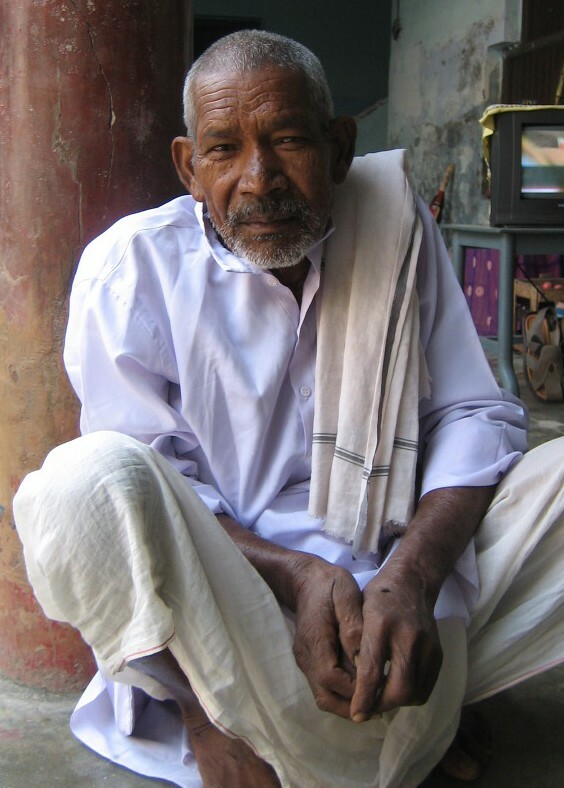 Then there’s the demand side: a part of my family lives in rural India, in Bhagmalpur. A village where I have seen the simple life. Clean air, good food, quiet living. Its also stricken with poverty, sanitation issues, water shortages, and seriously untapped ingenuity. As a kid, I used to hang around Maggu, while he milked a water buffalo, or Bahadur, while he made gold jewelry on a block of coal. Today I wonder what Maggu would do if he could learn about the rest of the world and its dairy achievements. 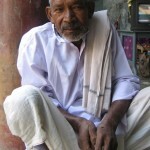 How Bahadur’s family could save the lost art of rural goldsmiths. Would they benefit from a peek into that Wikipedia in a box? You bet. In my mind, I can savor the possibilities of the supply, and imagine what it can do for the demand. I speak with my friend Javier Cardona about IEEE 802.11s, with Maggu on my mind. These worlds must meet. Finally, there’s the catalyst: my daughter Mira, now age five. She could open the XO, power it on, and turn it around into tablet mode when she was two. At three, she could play Implode on the XO with a finesse that amazed me. Children are like sponges; they soak up everything, and have incredibly simple solutions in their heads. I cherish Mira’s curiosity and ingenuity, and she has been my catalyst for inspiration. So that is my supply, my demand, and my catalyst. My story and my guide. Every volunteer has her own story. Many come and go, some stay, but all leave a mark on the overall process. They all help us steer projects in new and meaningful ways. For instance, a little over two years ago in Austin the XO manual was written by volunteers to pave the way for a new kind of global user. Sugar hackers and tech writers of all flavors funded their own way to Austin, to gather and create a resource that is used everywhere today. A year later, volunteers ganged up in Washington, DC (again on their own dime) to create 30+ OLPC community deployment success stories, compiled into the “Class Acts” repository of tips & tricks. I’ve dipped into this pool myself, asking my students to convert some of these into one-pagers. If you need a handout for a neighbor or school principal, grab this and print it! And now we’re preparing for a larger community event, with volunteers from all parts of the movement and from around the world, at the OLPCSF Community Summit. Stay tuned for details and a summit update tomorrow. 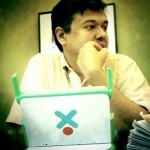 Sameer Verma is the chief organizer of the OLPC SF community. He is also Associate Professor of Information Systems in the College of Business at San Francisco State University.